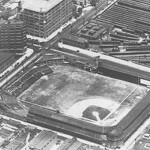 Home of the Philadelphia Phillies for several decades the original ballpark opened in 1887. 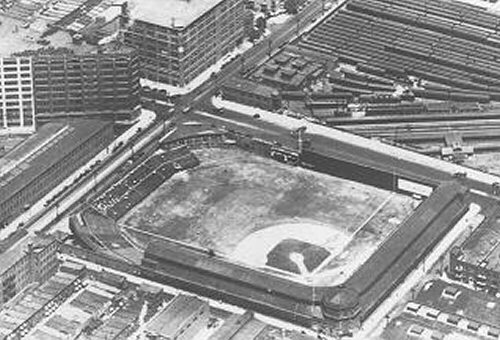 The first ballpark built on the site in northern Philadelphia was known as National League Park and Huntingdon Street Grounds. Built mainly of wood, the Phillies christened the ballpark on April 30, 1887. It stood for only eight years as it burnt to the ground. 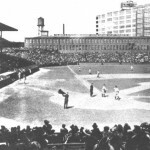 A new ballpark was reconstructed on the same site. Built of steel and brick, the ballpark was known as the Baker Bowl and became the first modern park. 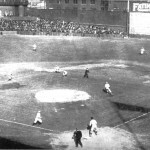 The Phillies first game at the rebuilt ballpark was on May 2, 1895. A double decked grandstand extended from first to third base and one level of seating continued to both foul poles. 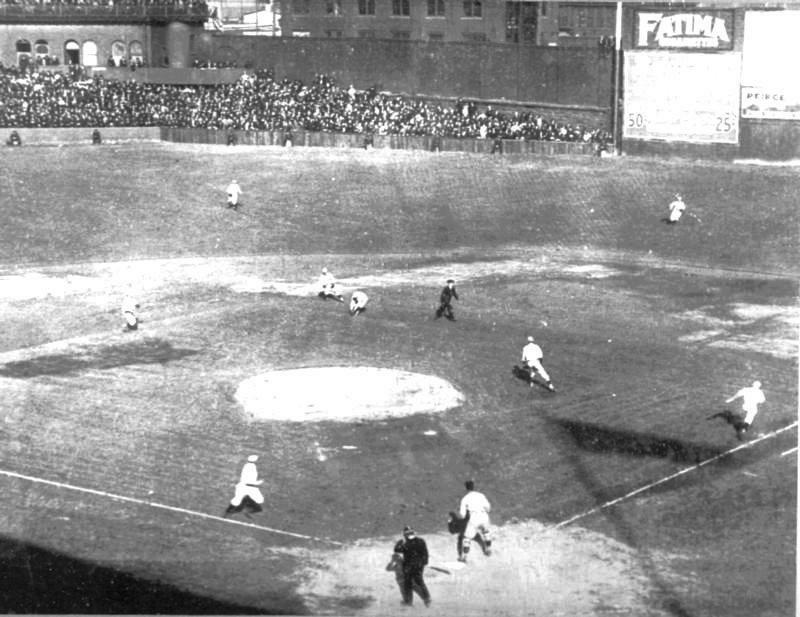 Seating was also located in left field. The clubhouse was located in centerfield and made up part of the outfield wall. 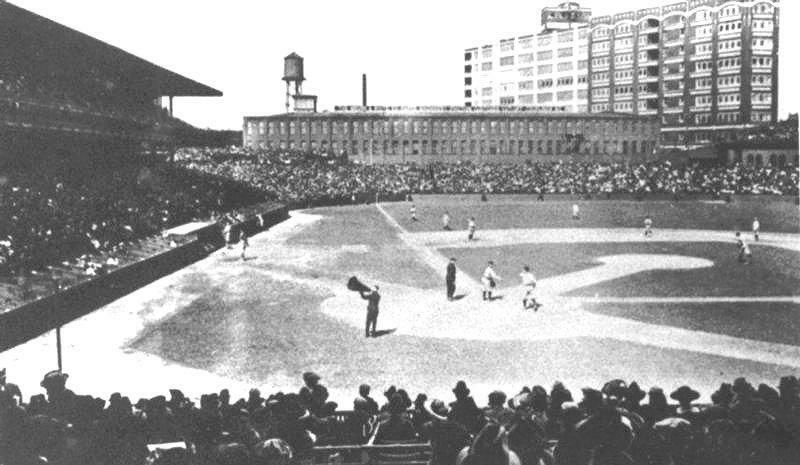 By 1910, the seating capacity was increased to 20,000 when the grandstand was double decked to the right field foul pole. Throughout its existence, the Baker Bowl was known as a cigar box because of its short dimensions. There was a 40 ft. wall in right field because it was only 279ft to the right field foul pole. 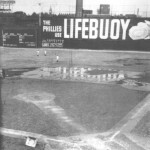 Part of the wall consisted of a scoreboard and in the Baker Bowl’s last decade a huge Lifeboy advertisement was on the wall. It was 341 ft. from homeplate to the left field foul pole and 408 ft. to centerfield where the clubhouse was located. 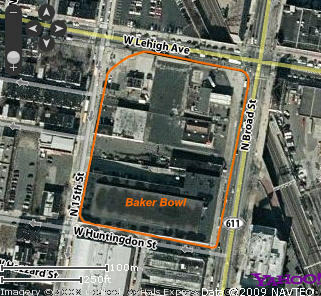 The main entrance of Baker Bowl was an octagonal turret. 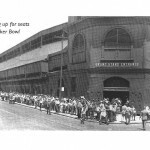 By the 1930s the Baker Bowl began to deteriorate. 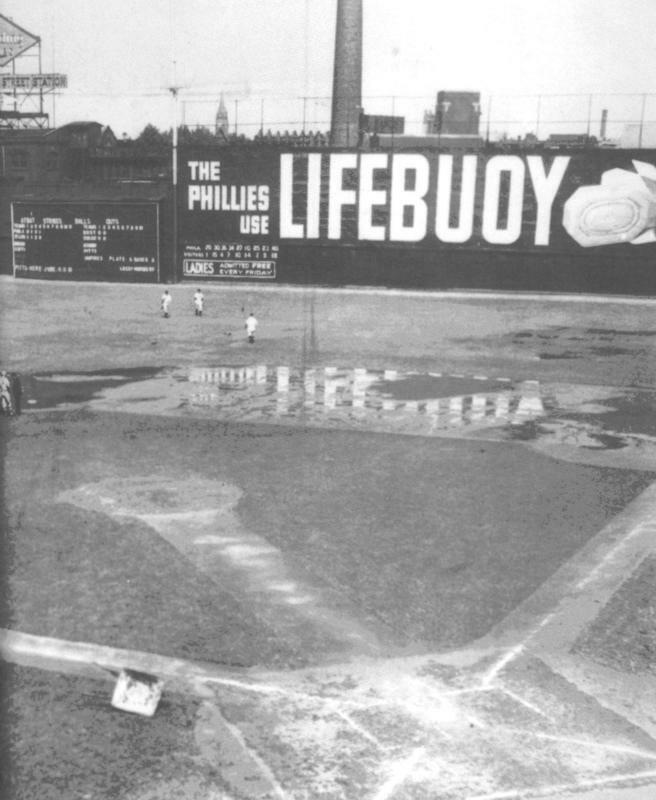 This along with that the ballpark never had lights prompted the Phillies to move out following the 1938 season. The next year they moved into Shibe Park with the Philadelphia A’s on the other side of Philadelphia. 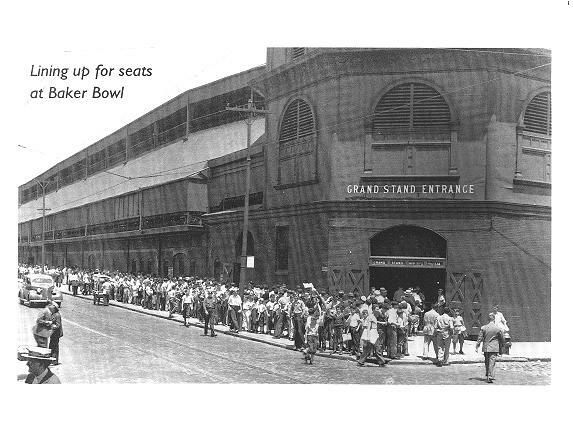 The ballpark was used for other events after the Phillies moved but was finally demolished in 1950. 2008 Philadelphia Phillies World Series Champions Poster - Click to Buy! –Location: Along West Lehigh Ave., North 15th St., West Huntingdon St., and North Broad St.